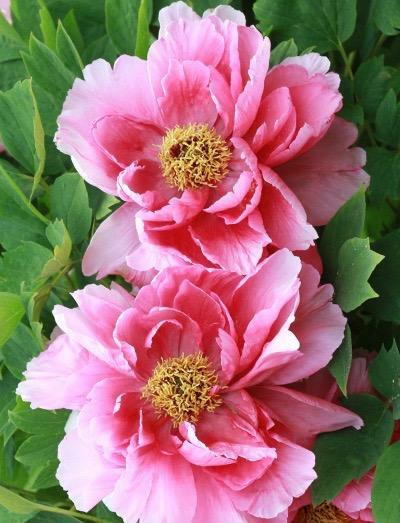 Rarely offered tree peony. Upright habit with deeply lobed leaves. Huge semi double deep rose pink flowers, June to July. Sun and good soil. 1.5m tall.